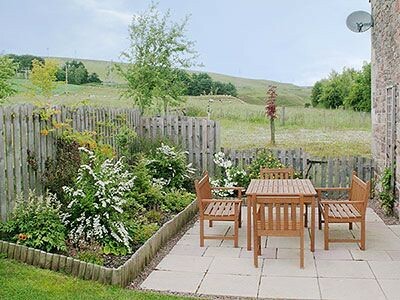 Set by a tumbling burn in rolling hills, this detached stone cottage lies 23 miles south of Edinburgh with easy access to all that the vibrant city has to offer. 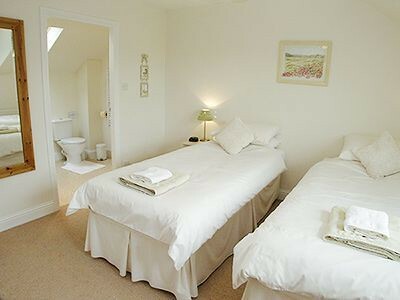 Part of a working sheep farm, it was formerly an old mill, now converted to a high standard with great attention to comfort and style. 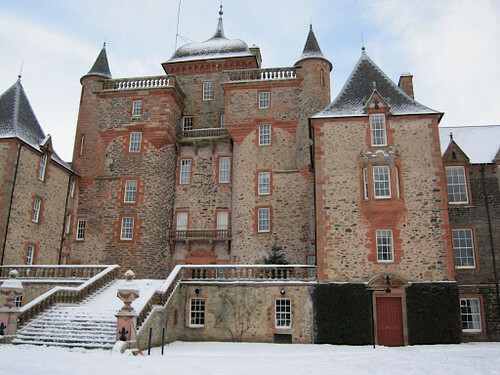 Melrose is 15 miles, and Kelso 20 miles, with fascinating shops, great historic houses and gardens, good golf courses and fishing. Beaches of the East Lothian coast, 25 miles. Good walking from the door. Shops, excellent restaurants and pubs 2 miles. 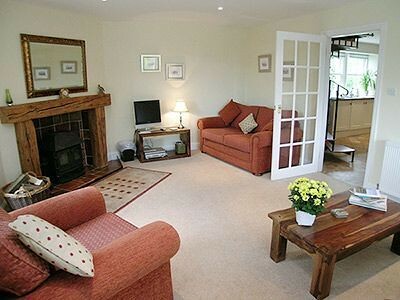 Large living room with sofa-bed (alternative sleeping), wood-burning stove in feature fireplace, window seat and French door to garden. 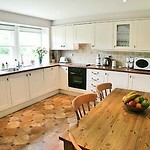 Kitchen/dining room. Separate toilet. Spiral staircase to first floor: Two bedrooms, each with 6ft zip & link beds (can form two singles) and en-suite bathroom with over-bath shower and toilet. 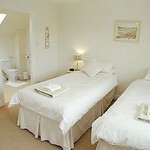 1st comment: The cottage was very comfartable and made us feel cosy and warm even though there was snow outside. March 2012. 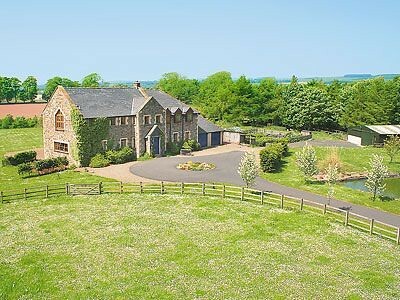 2nd comment: This is a fantastic cottage! 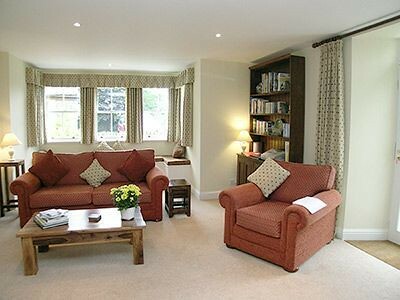 Tastefully furnished, well equipped and very comfortable. 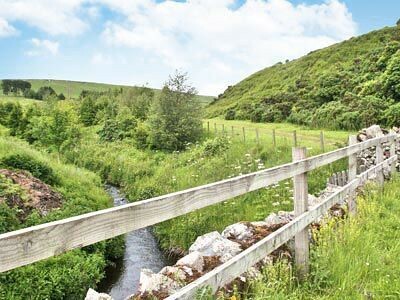 Whilst it may be next to a working sheep farm, it was very peaceful and we were never disturbed by farm machinery or animals. 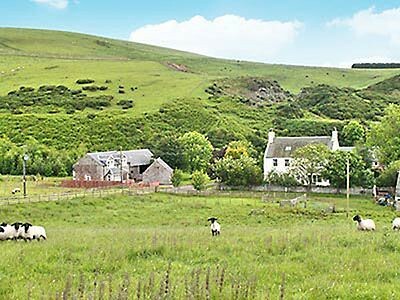 A quiet country location but very central for touring the Borders area, East Coast, Northumberland and in particular Edinburgh. The nearest park and ride facility was a mere 15 minutes away by car and what a great city to visit! 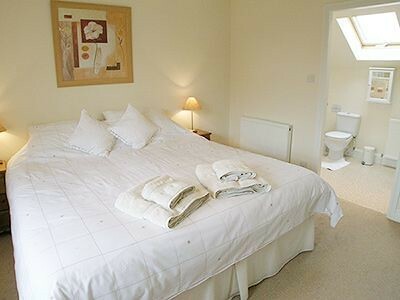 We are planning to stay at this property again and would highly recommend. Aug 2011. 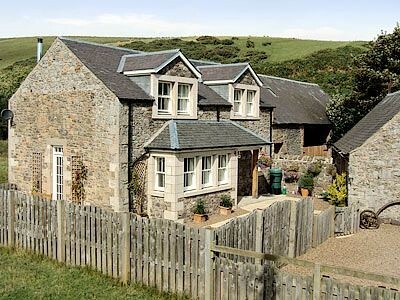 3rd comment: This cottage was excellent in tranquil surroundings, although only 20 minutes drive from Edinburgh and within reach of many interesting locations. Aug 2011. 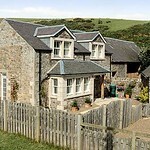 4th comment: A lovely place to stay, the accommodation was great and the owners were very kind letting us see their sheep and young lambs. 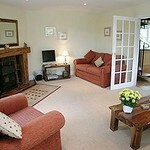 I would recommend this cottage to anyone. April 2011. 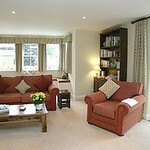 5th comment: A beautiful cottage extremely well appointed with a lovely owner. Could not recommend highly enough. Aug 200. 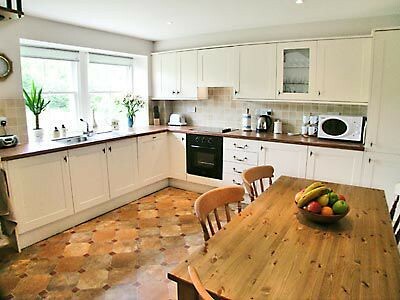 6th comment: Really good location, cottage was beautiful, spotlessly clean and really well equipped. June 2010. 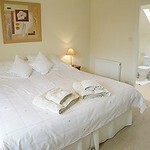 7th comment: It was impossible to fault the standard of the accommodation. It was excellent! May 2010. 8th comment: Cleanliness, huge amount of space. Wood burner that was so efficient. Presentation on arrival, attention to detail, leaving milk and tea was very welcome. Lots of character, good finish. May 2010. 9th comment: Well-equipped, spacious property. 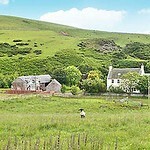 Lovely rural setting but not far from Edinburgh. Friendly, helpful owners on site. April 2010. 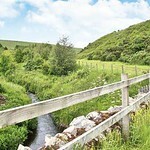 10th comment: Fantastically clean & well equipped cottage in a great location. 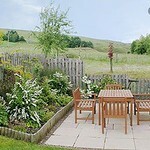 Owners very helpful and if anything the photos & detail on the website do not do the property justice. May 2009.